TIE is an unusual invention. It's neither aid nor trade but better than both. No-one's the gracious benefactor and no-one's the humble recipient. The key word is Exchange: through the exchange of one kind of experience with another, all participants come away with more than they started with. Everyone benefits and so, indirectly, do thousands of others. 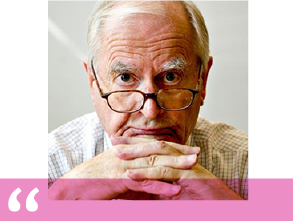 Jeremy Bullmore was Creative Director, then Chairman, of JWT in London. For the last 20 years, he’s been with JWT’s parent company, WPP. He writes regularly for Campaign, the Guardian, Management Today and Market Leader. He’s currently President of the Market Research Society.